Managing employees in the field has always been a challenge. A company is responsible for their safety, security and well being. At the same time, the companies want to provide tools so the field employees can deliver their best. Everyone likes to have the maximum productivity from their field employees. 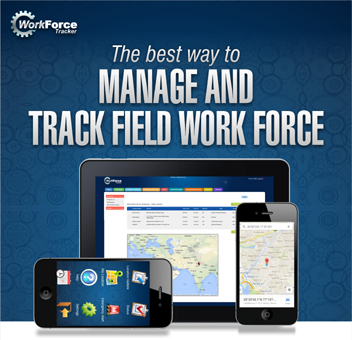 WorkForce Tracker is a location-based service that runs as an app on employee smart phones and is administered by a manager from a browser-based Web tool. Simply put, in addition to other features Work Force Tracker will tell you where your employees are, where they’ve been and where they should be next and where they should not go. In short ensuring their physical security in the turbulent world. The other goal is to make businesses more efficient through smarter work management. This should hopefully mean faster field reportings, status collections, time sheets and invoicing etc. Knowing own locations also helps workers in finding better driving routes, better customer service and fuel savings. And yes, to also help businesses keep tabs on employee productivity. Big businesses are concerned about security in volatile areas; they want to monitor their employees wherever they are. There locations, there arrivals and their departures. A missing employee cannot be found. An employee cannot be alerted of impending dangers or events in the areas. For example, a American company cannot warn its employees in the Middle East of a terror threats or safety advisories. 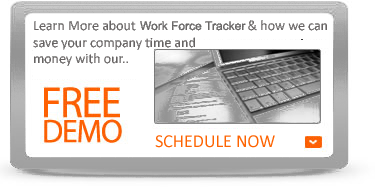 WorkForce Tracker is a perfect project for that. Getting productivity from your workers and timely status reports is very important for any business. This is very important part of operation especially for businesses offering delivery or in-home services. Mobile devices provide employers with ever-expanding options for tracking and checking on the status of employees. But the be-everywhere-your-employees-are during work hours provides your employees tools to integrate at all times with the in-house system. With work force tracker, even a small business of 1-2 persons can integrate complex location data with their existing technology to get the most out of their time. WorkForce mobile app available on promises to provide even small businesses some fresh options for managing a mobile workforce. 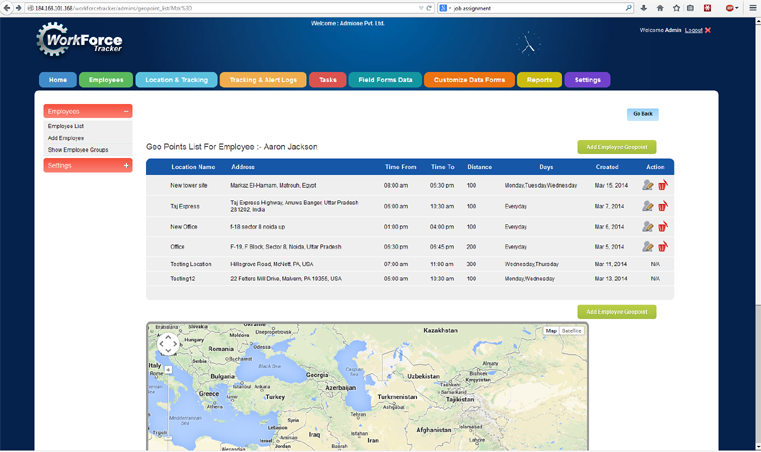 WorkForce Tracker allows employer to set up many geo-fencing points for the employees. Whenever an employee reaches the defined points an alert will be sent to the system console. Similarly, alert can be sent if an employees leaves a ge=fence area. Work Force Tracker Apps are designed to ensure that you can help your emplyees when they need your help and support without always being with them or constantly tracking them. Geo-fence is yet another useful layer to help you ensure your employees remain safe without you constantly checking their whereabouts at all times. 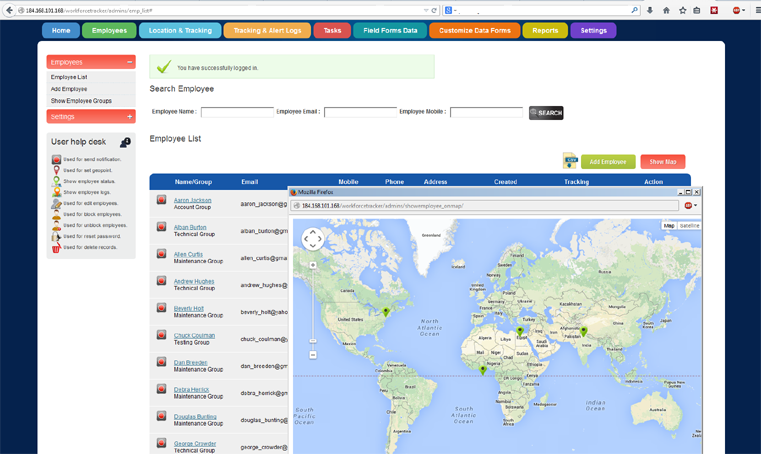 The Geo-fence feature sets pre-defined location markers in the map for the employees. It enables teh company or its security departments to ensure their employees' safety and know where they are at all times by tracking the location of their mobile device. With Geo-fencing capabilities, companies can establish virtual geographic location boundaries to define where their children should be and receive an instant email or SMS alert in the event the employee strays from that location. Companies can also set Geo-fence time parameters to receive an alert if their employee does not arrive within a specified location within a certain time period. Geo-fence can help in many ways. For example, companies could establish a Geo-fence around their manufacturing facilities to alert them when a travelling employees arrives at the factory from home or customer visits or to even customer locations. So whenever customer reaches those predefined locations the security departments can get an alert. Geofencimng feature allows security minded companies to set security zones for their employees in the foreign countries. This will allow employee to remain in those areas and not not go beyond them. Similarly, companies can set restricted areas in the country where certain emplyess cannot go or not allowed to enter for their own safety. Work Force Tracker Apps are designed to ensure that you can help your employees when they need your help and support without always being with them or constantly tracking them. Geo-fence is yet another useful layer to help you ensure your employees remain safe without you constantly checking their whereabouts at all times. 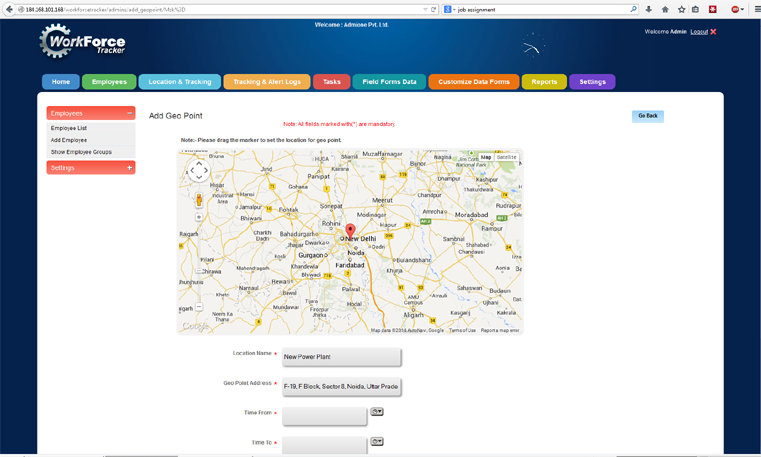 Companies can set and edit Geo-fence boundaries through the Work Force web portal. Multiple geo-points can be set for a user. There are many other types of conditional alerts chave been imntegrated. View current location, proximity to jobs, customers and locations. Monitor clock in/out, idle time, routes traveled, arrival/departure times and speed. 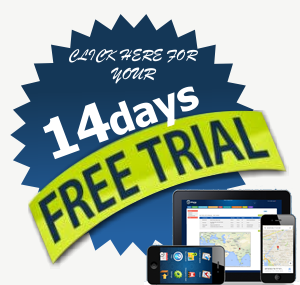 Knowing current and historical location information will help you save money. At a glance, you can view driver history in real time. By simply clicking on each “breadcrumb” you have an instant view of driver location, direction and speed. In the office or in the field, receive alerts as they occur. Become instantly notified if a driver is violating speed zones or traveling out of an assigned territory. Set maintenance alerts to keep your vehicles safe and on the road. Stay informed with On Demand or Automated reports. Our robust reporting capabilities make it easy to monitor your field employees and record their site arrival and departure times and more. We all know tracking and keeping an eye on someone is so difficult. And it becomes more difficult , if Your Employees are in Field. How do you know that your Sales people are doing a good job and they are on their regular visits to clients? Is it possible by filling up the DCR on Time? For example, In Pharma Sector, medical representatives are required to visit doctors to give them the medicines for trial & Detailing of their Products. There must have been times when the representative fills up DCR claiming that he had gone to the doctors whereas he never went there. Keeping an eye and checking everyone becomes difficult. It was a very tedious job to call the doctors and know if they actual received the medicines or not & about the Visit time. Our Tracking System tracks all your workforce automatically that have been registered on this system once thru mobile phone. Organizations with employees in the field can see their exact locations on Google Maps in near real time, Can Check Tour Plan Vs A ctual, gather data from the field and can simplify the payroll process. Every Morning, your employees go to field; they have to "check-in" at their Phone which automatically logs their GPS location and then it automatically Send the employee locations during his Field Working. Integrated with Our Tracking System is fully integrated with Sales Force to monitor employee locations, make real-time decisions that deliver optimal service levels and generate reports to analyze and improve overall business performance. Scalable tracking engine that can support thousands of employee workforce. Field Status Reports, Time sheets and Invoicing Support.